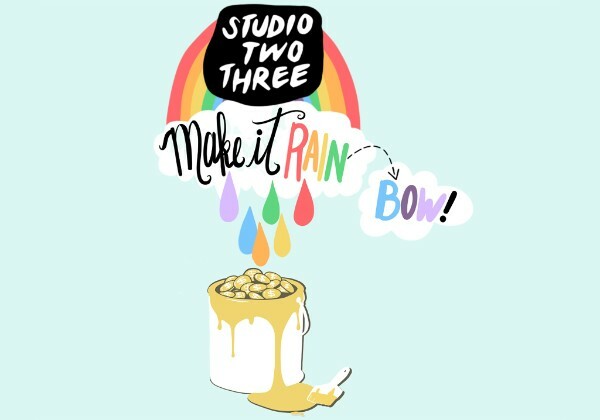 Come to Make it Rain(bow) and be a part of the artists, makers, dreamers and doers that are Studio Two Three! Join Studio Two Three for a night of music, food, drinks, fun, live artist demos a grab-n-go $25 art wall of stuff you can’t get anywhere else. Tickets: $20 in advance, $25 at the door; tickets include cocktails, appetizers, and the warm fuzzy feeling of doing something awesome for your community. All proceeds benefit Studio Two Three.